Please note that the following contain affiliate links and I will be compensated for your purchase after clicking. No worries however, it is at no cost to you. It may not feel like fall today with the humidity but fall is around the corner. Fall is a popular time of year for weddings as the weather is cooler and the colors are incredible. 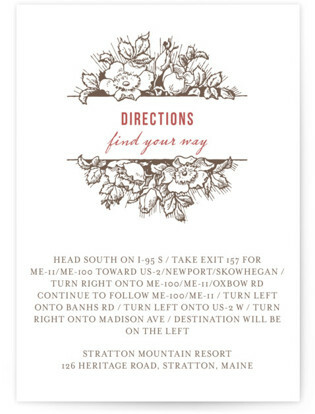 Minted has a beautiful fall invitation you will want to check out if you are having a fall wedding. 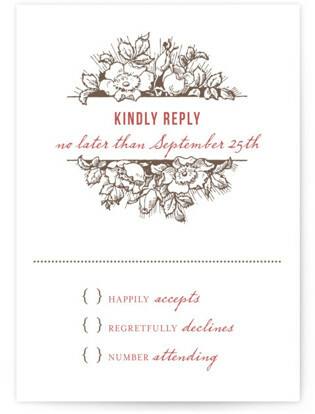 Harvest Floral Letterpress are the invitations you will want to check out for your fall wedding. 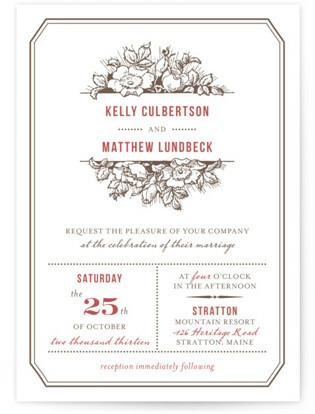 Each invitation is printed on thick, soft paper on vintage Heidelberg presses. 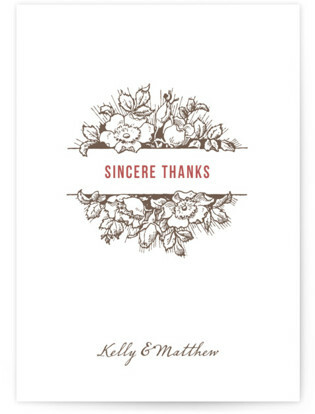 Letterpress printing is available in 1, 2 and 3 colors. 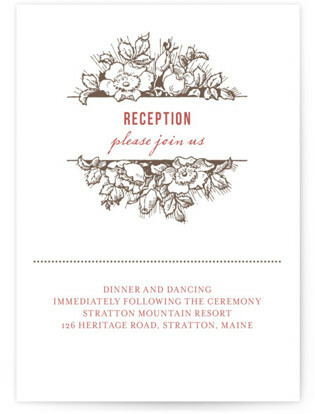 Matching accessories for this invitation suite includes Directions cards, Reception cards, RSVP cards and Thank you cards.